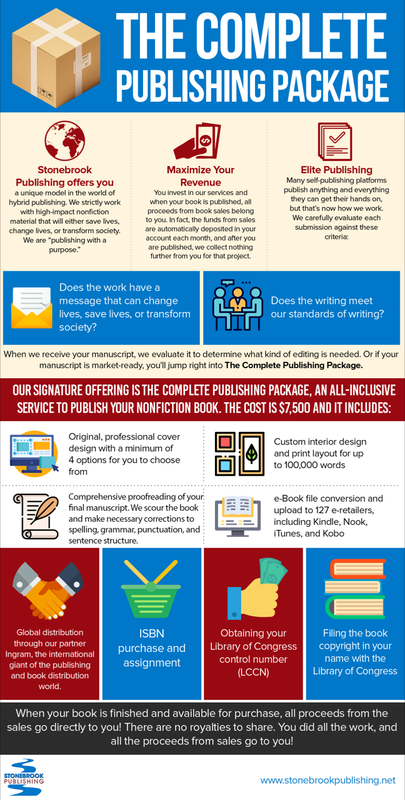 You invest in our services, and when your book is published, all proceeds from book sales belong to you. In fact, the funds from sales are automatically deposited in your account each month, and after you are published, we collect nothing further from you for that project. Does the writing meet our standards of writing? When we receive your manuscript, we evaluate it to determine what kind of editing is needed. 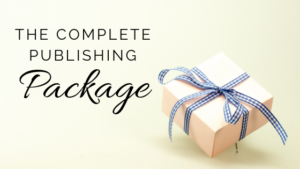 Or if your manuscript is market-ready, you'll jump right into The Complete Publishing Package. When your book is finished and available for purchase, all proceeds from the sales go directly to you!. There are no royalties to share. You did all the work, and all the proceeds from sales go to you! Please fill in the form below for more information about The Complete Publishing Package.